Hub Automatic Transmission Service offers a variety of auto repair and rebuilding services in Saskatoon. We repair domestic and import models for private, commercial, fleet and emergency service vehicles. Our shop is equipped with a large motorhome bay to accommodate RV’s and commercial vehicles. We also offer free evaluation road tests and free in town towing on major repairs. Automatic transmissions are our specialty. We’ve done it forever and plan to continue forever. With all the electronics, sensors, electro-magnetic solenoids, finely machined valves, miniscule tolerances, specialized clutch materials and in some cases the actual transmission control module, all located inside your transmission, servicing it is more important than ever to keep it working properly and extending its lifespan. Additionally servicing this transmission is more than just a fluid change. When we service your transmission our transmission specialists with decades of experience also install our diagnostic scan equipment to check for any concerns, we then road test it before servicing to confirm operation is correct. The vehicle is then put on the hoist and inspected for leaks and other drivetrain issues and the fluid change is also performed with the pan off and replacement filter(s) installed as applicable. The fluid quality is critical so we use OEM factory fluids where required and finish off the service with a follow up road test and hot fluid level check. Our service may take slightly longer, but we do so much more to make sure your transmission gets the professional service it needs. We service, repair and stock parts for Allison transmissions in your GMC truck or commercial vehicle. Most vehicles on the road today have computer controlled transmissions. These transmission control systems incorporate a variety of sensors, solenoids, harnesses, computers and software with complex algorithms to make your transmission shift smoothly and efficiently. These controls will result in desirable shift feel and add longevity to the life of your transmission. These complex systems require equally complex diagnostic solutions when trouble arises. Our technicians have the right ongoing training, technical resources, experience and diagnostic equipment to accurately identify and repair your vehicle right the first time. We do them all. Front, rear and 4x4 systems are what we do. 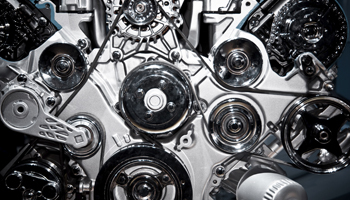 Automatic transmissions, transaxles, differentials, transfer cases and all 4x4 associated components including transfer case motors, actuators hubs, axle shafts, driveshafts and electronics, are all items we service, repair and replace when necessary. We service and replace worn, noisy wheel bearing hubs and driveline mounts. The cost of replacing major driveline components can be expensive and in the case of high mileage or older vehicles, the cost may not make financial sense. At Hub Automatic Transmission we understand the economics of this situation. In some of these cases a more economically feasible solution may be to obtain and install a good quality low mileage used major component. We may be able to source a unit from a reputable Automotive Recycler. We would then inspect and prepare the unit for installation and perform the replacement. Some reputable Auto Recyclers offer limited warranties and some will even offer an extended 1 year warranty. Many new vehicles are coming out of the factory with OEM transmission coolers and temperature gauges installed to protect the transmission from overheating and harming it. If your vehicle is not equipped with a cooler or gauge, it is highly recommended that they be installed if you plan on towing a trailer. We can assist you in selecting the right equipment for your vehicle and professionally install it for you.